Guinness Atticus – Working To Build A Better More Accessible World! The Health Care Act IS a Good Thing!!! All the uproar about “Obamacare”, or the Patient Protection and Affordable Care Act is getting so screwed up. 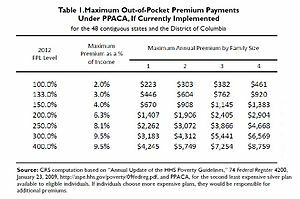 If you read the Health Care plan – the only people who will “have” to purchase insurance, are those who can afford it – those who live above the poverty level, and the State is to set-up affordable options in a range of a $100 or so a month. The major portion of this Act’s funding come from a tax on those making over $200k a year – and only at 0.9%! Anyone who can’t afford it – like the millions of people in our nation who are under employed or unemployed will be offered it by their State. It will also not be taking effect until 2014. Don’t mean to sound preachy. But after seeing too many people affected by the Ridiculous health care industry in our Country – including my brother who had terminal cancer and was still denied State coverage because he was receiving $800 a month in Unemployment and died with $40k in hospital bills, after selling his car, house, etc. Obama has it right. Something has to be done. Landing Page Assignment for VMK. Here’s my final assignment for Viral Marketing – a landing page, which shows the video I previously posted. Start Now. No Funding Needed!